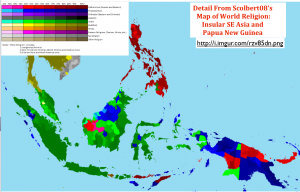 Scolbert08 does an excellent job of mapping the religious complexity of Insular Southeast Asia and Papua New Guinea. I have therefore posted a detail of his or her map of world religion that focuses on this region, both with and without my own annotations. Many interesting and important spatial patterns of religious affiliation are revealed on the map. The Marapu religion (also known as Marafu in Sumba) is a form of ancestral religion that is practiced mainly in the island of Sumba in Indonesia. Marapu is also practiced in many more remote areas of Sumba and Flores. Both the Christians and Muslims on these islands tend to combine their faiths with Marapu. Since Marapu, like Kaharingan of the Dayaks [Iban], is not an official religion of Indonesia, and all Indonesian citizens are required to identify as of one of a member of the sanctioned religions by law, members have chosen either Christianity or Islam to self identify. The island of New Guinea, which is politically divided between Indonesia in the west and the independent state of Papua New Guinea on the east, has an interestingly symmetrical appearance on Scolbert08’s map, with Catholicism widespread in the northeast and southwest and Protestant Christianity prevalent in the southeast and northwest. This pattern reflects, of course, the efforts of different groups of Christian missionaries. One might be surprised that Catholic missions were so widespread and successful in eastern Indonesia, which had been colonized by the Dutch, as the Netherlands is usually considered to be an historically Protestant (Calvinist) country. But the southern Netherlands is traditionally Catholic, and as recently as 1970 some 40 percent of the Dutch professed Roman Catholicism (today the country is most irreligious, as reflected in Scolbert08’s map). Dutch and Flemish Jesuit missionaries played an important role in converting animists in many remote areas of Southeast Asia. This was the case in the highlands of northern Luzon in the Philippines, where I encountered Flemish priests in the 1980s. 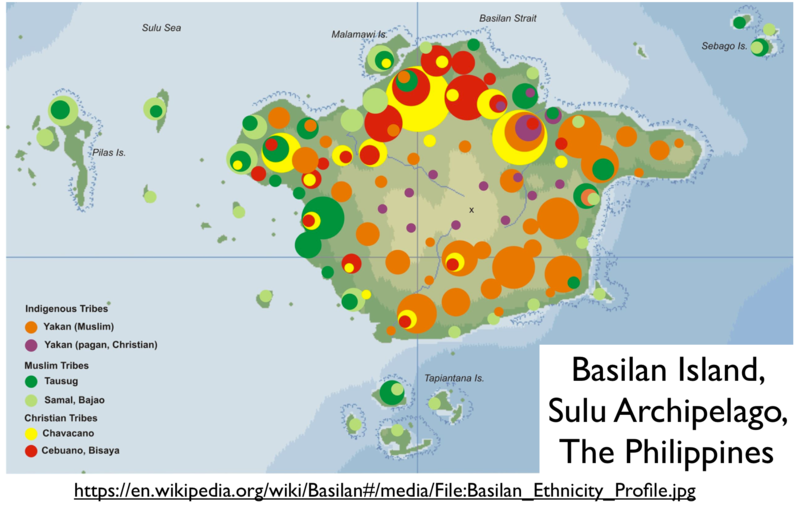 The Muslim majority and plurality areas in western New Guinea seen on Scolbert08’s map largely reflect recent migration from Java, a phenomenon that has generated pronounced ethnic and religious tensions. I am a bit surprised that Papua New Guinea is shown as so heavily Christian, as animism there is very widespread. Many Papuan Christians, however, are recent converts who have by no means entirely abandoned the beliefs of their ancestors. In peninsular Malaysia, Scolbert08’s map shows a Muslim majority in the east and a Muslim plurality in the west. This pattern is to be expected, as most Malaysian of Chinese and Indian descent, the vast majority of whom are non-Muslim, live in the western half of the peninsula. But only the area around the city of Ipoh, which is 41 percent Chinese and 14 percent Indian, stands out for having a Buddhist plurality, reflecting the local Chinese imprint. Although it is barely visible on the map, the northern part of Penang, also heavily Chinese, is also colored yellow for Buddhism. The same pattern holds in the Chinese-majority city-state of Singapore. Such changes in attitude reflect a creeping extremism that is infecting Sarawak’s Muslim community – one that is often held up as an example of tolerance and inclusivity that their brethren in the Malay peninsula should learn from. There is now a growing worry that such attitude – imported from across the South China Sea – threatens to rupture the social glue that has bound Sarawak’s diverse community. This is even while Sarawak’s Muslim leaders continue to insist that their minority community is still moderate and able to embrace its more populous non-Muslim neighbours. The Muslim majority area of the southwestern Philippines is accurately shown as relatively small on Scolbert08’s map. What is more significant, however, is the sizable area of Catholic plurality in the areas to the south and east, which indicates substantial Muslim (and animist) minorities. The province of Sultan Kudarat, as its name indicates, formerly had a Muslim majority, but it is now roughly 56 percent Catholic and 10 percent Protestant, a change that has occurred mostly because of immigration from Christian areas of the Philippines. Such changing patterns of religious affiliation help explain the religious/political violence that plagues the region. I am surprised, however, that the map does not show a Christian zone in the north-central portion of Basilan, the northernmost island of the largely Muslim Sulu Archipelago. 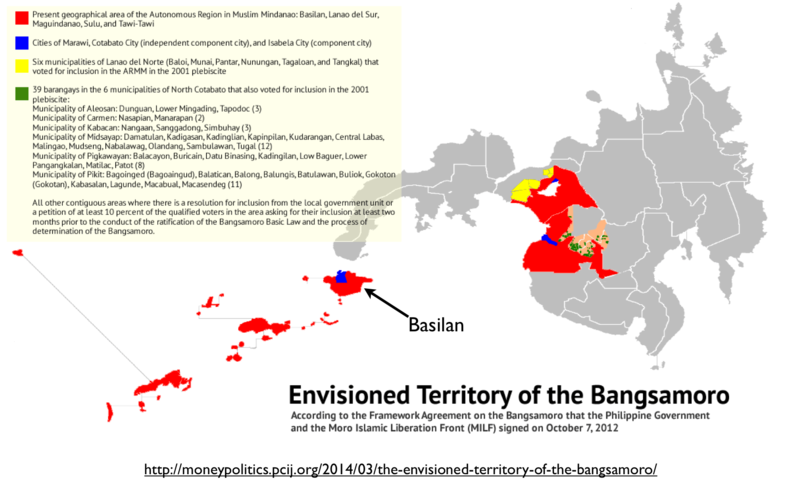 This area has been an issue of contention between the Philippine government and Islamist insurgents in the stalled-out negotiations over the creation of a Bangsamoro Autonomous Region in country’s Muslim-majority districts. The attack [on] Deleng Lagan Batak Protestant Church (HKBP) in Gunung Meriah, Aceh Singkil, on Tuesday (13/10) has to be condemned. The incident once again shows that in a country with the motto ‘Bhineka Tunggal Ika’ (unity in diversity), intolerance is still fast growing. Yet, this is not the first incident that happened in Singkil, Aceh, which share a border with North Sumatera province. In September 2005, a church in Siompin Village, Surou Sub-District was also burned down. The attack was triggered by the same reason: local residents objected to a private house made as a place of worship. The conflict should not have happened if the regional government and the police could take a firm and strong action. Regency governments have indeed arranged a meeting between religious figures and the people. The meeting eventually agreed to demolish a number of ‘troubled’ churches on October 18. However, the tension was already heated up. Provocation has also been spread. 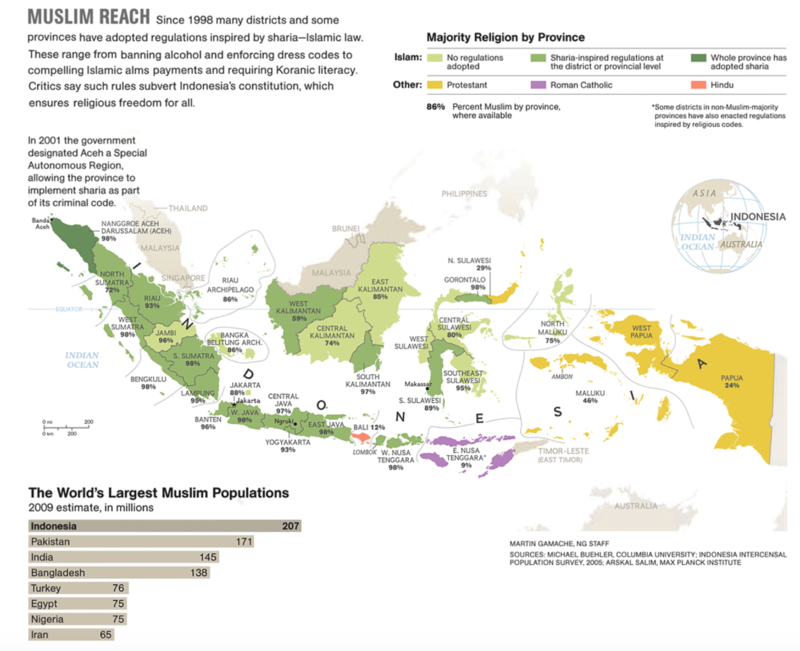 Although more than 85 percent of Indonesians identify as Muslim, Protestantism and Catholicism are two of the nation’s approved faiths, helping give Indonesia its reputation as a pluralistic democracy. Even so, many local governments are shutting down churches as politicians crumble under pressure from their Muslim constituents. The Manusela [of Seram] follows the syncretic faith of Naurus, which might have come from the Aluk’ To Dolo faith. The Naurus faith is a combination of Hinduism and Animism, but in recent years they also have adopted certain Protestant principles. A few Manusela have also adopted Protestanism as well. Not much is known about their religion about them, but their religion may include worshipping of Hindu and Animist gods, with this influence coming from the Mindanao during the early periods, and presence of Hinduism is evidenced from the fact that archaeologists have found several statues of Hindu gods in Mindanao.